If you have been following my blog over the last year, you know how much I’ve struggled with this quilt. It should NOT have been hard. 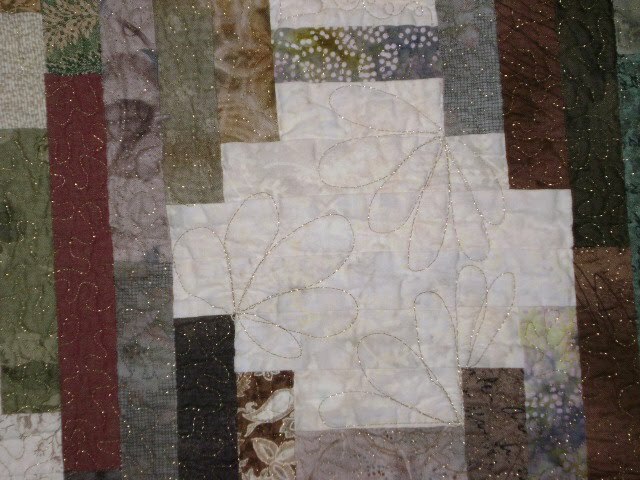 But I used metallic thread, and as much as I love the shimmer of the gold on the quilt, I hated sewing with it and would probably not use it again. If you click on the photo below, you can see a larger version of it. 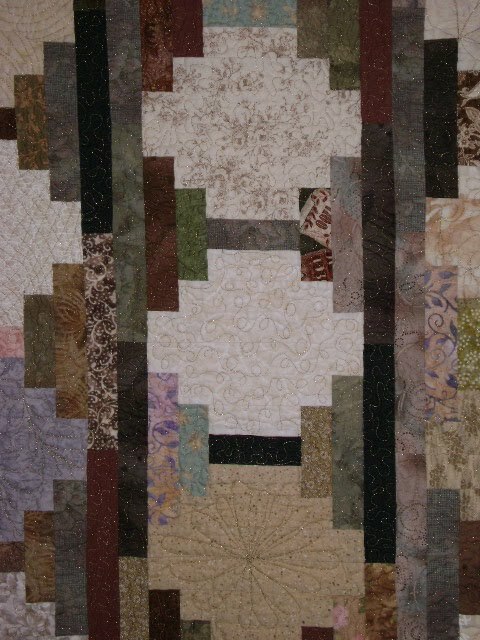 Cudos to my hubby for rigging up a quilt hanging system in the basement so I could get photos of even my largest quilts. This is not a big quilt, but it’s nice to get the whole quilt on one wall for pictures. Now to get better lighting so it doesn’t look washed out. The colors aren’t right… the wall is yellow.